Mexican restaurant name Holy Amigo. Typical food with nice Mexican decorations. Good for a weekday meal to curve your Mexican craving. After work today we visited one of my local restaurants which have newly opened two months ago. 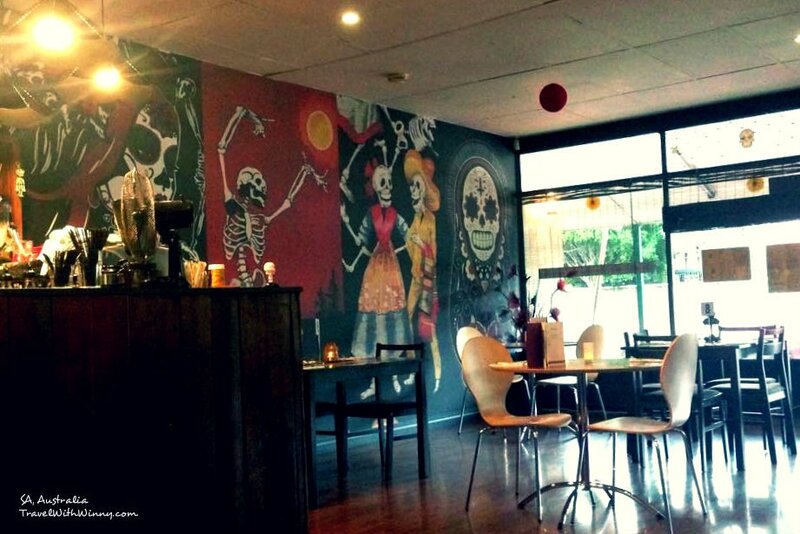 The restaurant is Mexican style and it’s called Holy Amigo. 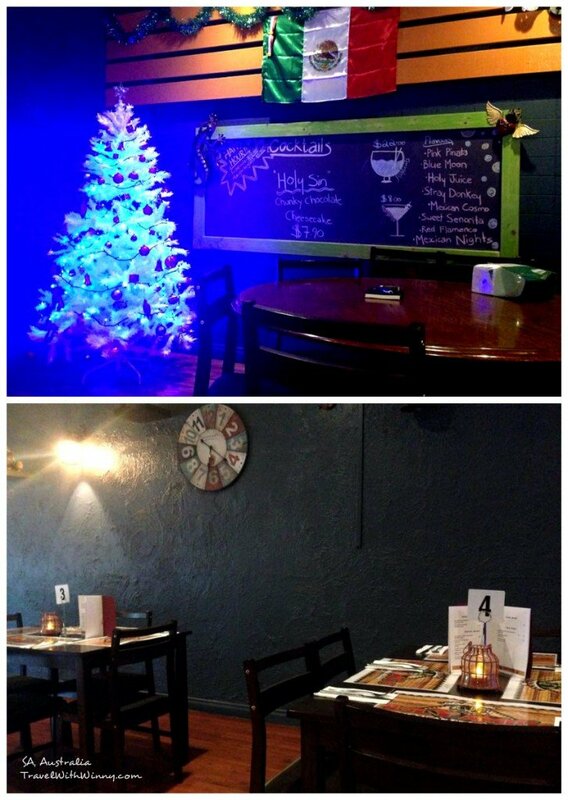 The restaurant was quite spacious and the decorations gives a Mexican bar atmosphere. It also has Xmas decorations as it is close to Xmas. The restaurant was empty and we were the only customers. The only other people we saw there was a young Mexican looking girl as our waitress and a older man who was cleaning the front of the shop which could possibly be the owner. The restaurant had drink specials until 7pm. They discounted the Margarita and the “Fish bowl” which is a bowl of Margarita for a few dollars cheaper. We weren’t in the mood to drink after work so couldn’t quite comment on how they taste. They do have quite a range of selection of Margaritas and other drinks to choose from. The Menu had a few dishes that caught my eyes however we couldn’t pick them all. We both selected quite typical Mexican dishes. 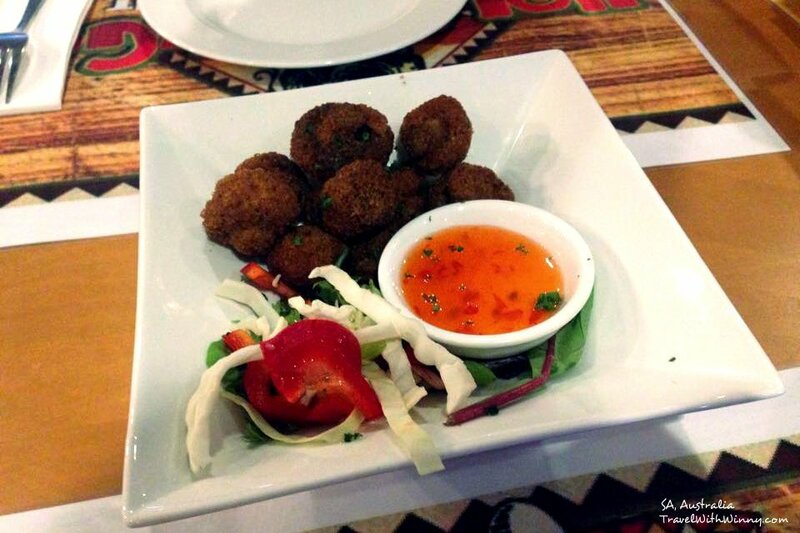 We had a starter which was Deep fried Mexican Mushrooms with sweet chilli sauce. It was quite simple and the mushrooms were ordinary button mushrooms. The batter was done well and it did taste nice but wasn’t anything special. I had the Seafood Quesadilla. It was quite nice and I do enjoy having Quesadilla in general however it was my first time having a Quesadilla with seafood. The Quesadilla contained calamari, prawns and fish. The taste and texture was quite cheesy which was expected. Overall it was a nice dish. 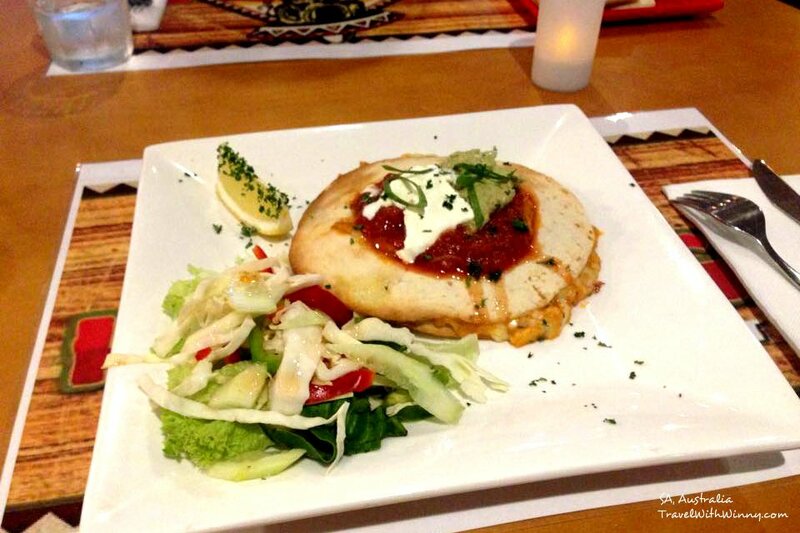 Seafood Quesadilla: a selection of fresh seafood baked in a creamy white wine sauce inside a flour tortilla turnover, baked and served with tomato salsa, sour cream, guacamole and fresh salad. 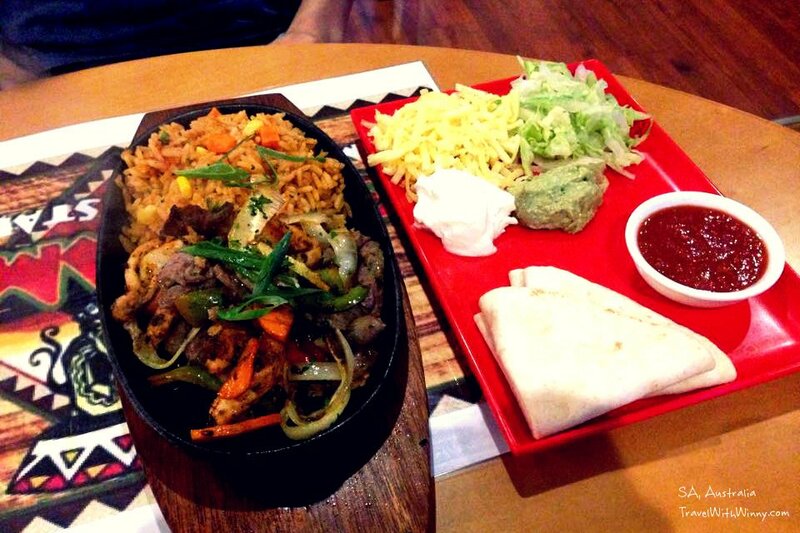 York had the Sizzling Fajitas (combination of chicken and beef) which is a sizzling dish of Mexican style BBQ meat. It comes with rice and a plate of soft tacos, crushed avocado and cheese. The dish is designed to use the soft tacos to make mini burritos. The spices were nice and mild. Sizzling Fajitas: combination of marinated meats pan-fried in delicious spices, served on a sizzling platter- in which the aromas, that entice even the most precious palate. Complemented by an assortment of salads and causes. We both felt the serving size was a little smaller and the price was a little higher than expected. It’s not the best Mexican food you’ll taste but it is still a nice place to go to on a week day. We will be back to try a few other dishes on the menu when we feel like having Mexican again.